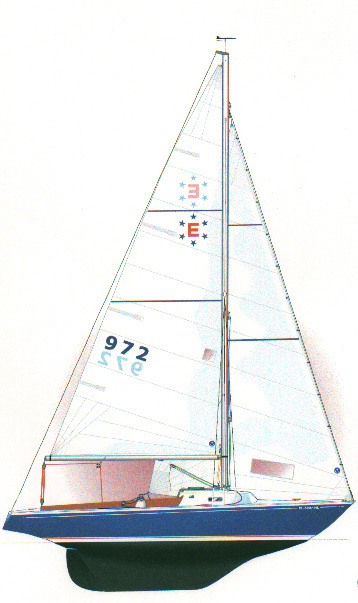 Originally called The Electra Day Sailer, the Ensign was designed by Carl Alberg. The Ensign is	based on the hull of the Pearson Electra, modified in response to customer demand for a larger cockpit and smaller cabin. 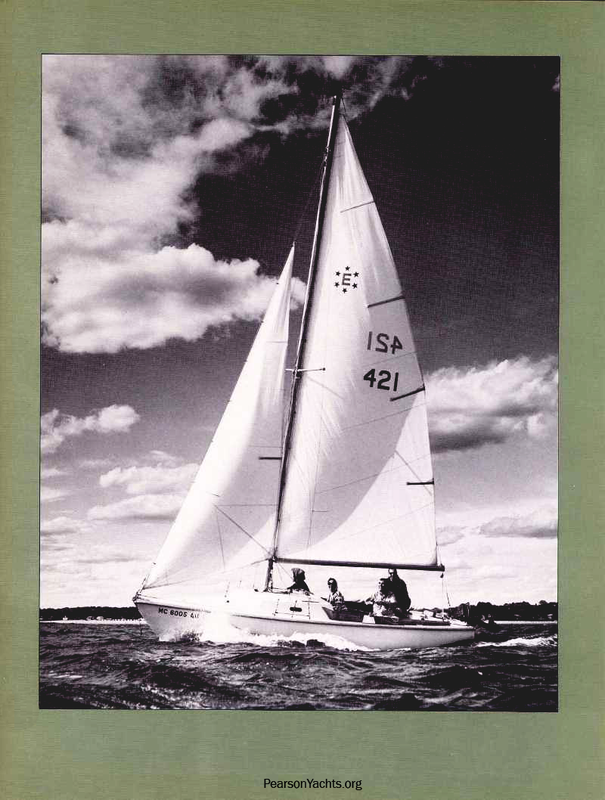 Approximately 1775 boats were built by Pearson Yachts in Bristol, Rhode Island from 1962-1985. 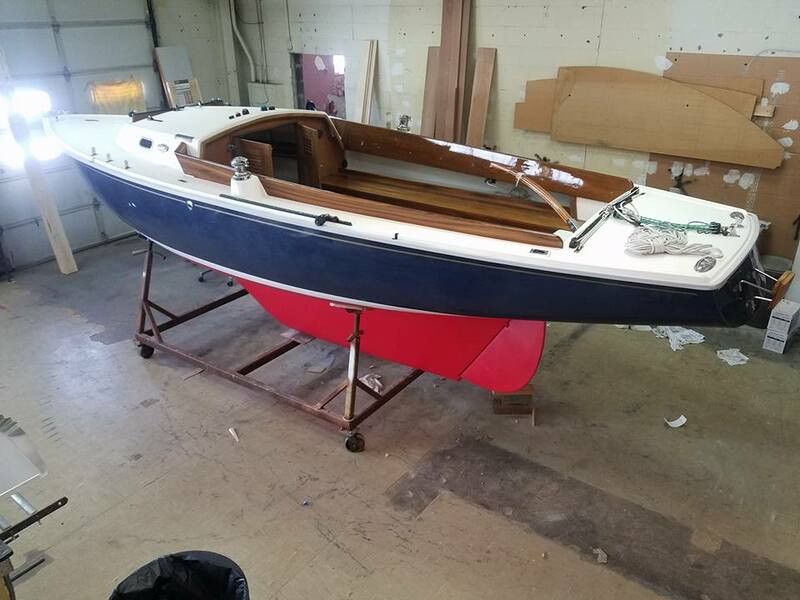 New boats (hull #2000 and above) are known as the New Ensign Classic, built by Ensign Spars in Marquette, Michigan with the original molds from Pearson. 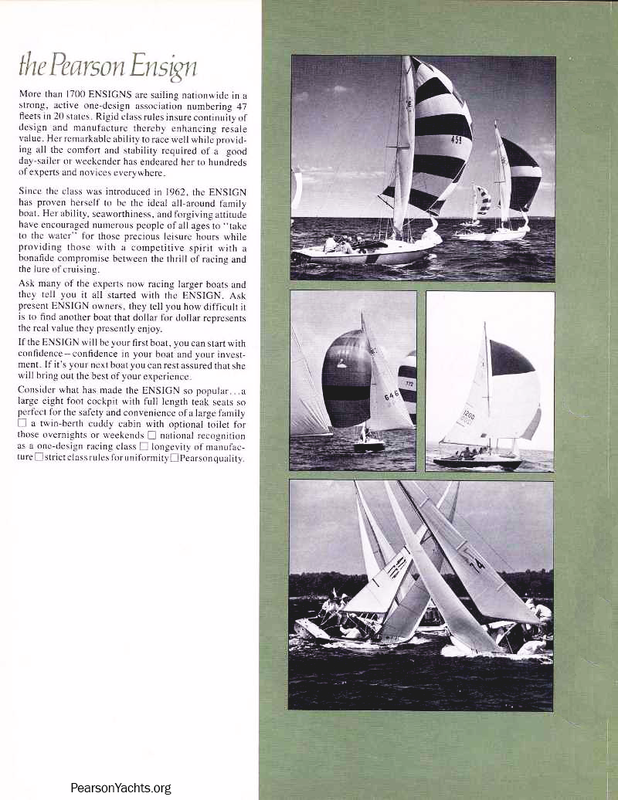 Consider what has made the Ensign so popular… a large eight foot cockpit with full length teak seats so perfect for the safety and convenience of a large family; a twin-berth cuddy cabin with optional head for those overnights or weekends; national recognition as a one-design racing class; longevity of manufacturer; strict class rules for uniformity; Pearson Quality!Pearson Yachts Inc. 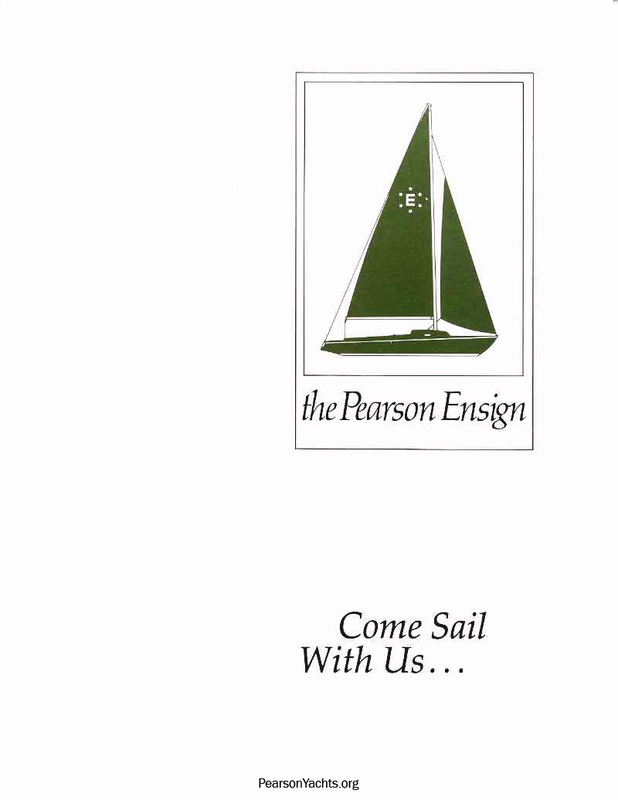 The Ensign is the largest one design fleet of full-keel sailboats in the country. 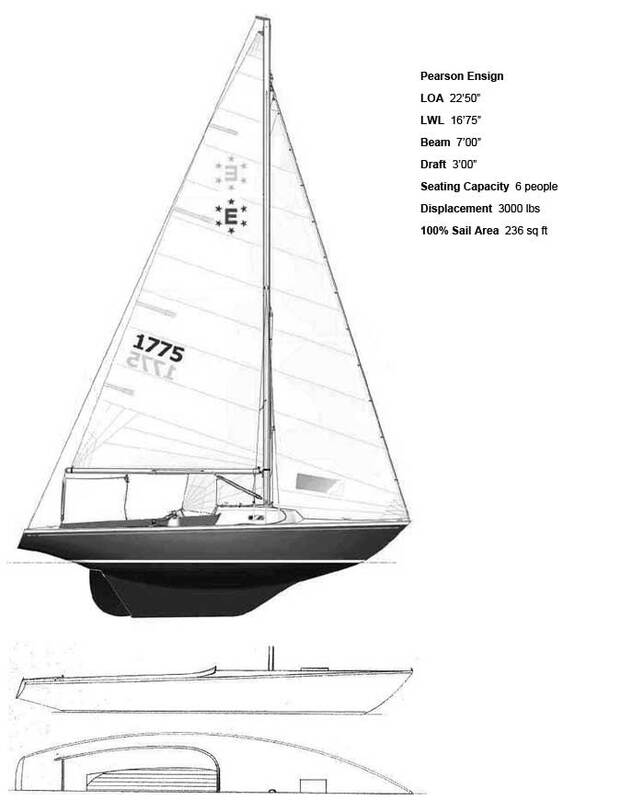 It was inducted into the American Sailboat Hall of Fame in 2002. CONSTRUCTION: Hull and deck are integrally molded fiberglass laminate construction (hand lay-up) with bonded bulkheads. Deck is balsa-core fiberglass for strength, rigidity, and insulation. Teak coamings with winch mount areas. Teak seats and cockpit sole. HARDWARE AND DECK FITTINGS: Chromeplated brass or bronze, stainless steel and special marine alloys. Stainless steel stemhead fittings, backstay and shroud chainplates. Bow cleats with chocks (P &S), stern cleats (P &S). Two fixed ports. MAST: Anodized aluminum 6061-T6 alloy with aluminum spreaders. Rigging fittings of stainless steel and aluminum alloy. Cleats for main, jib and downhaul. Gooseneck track, sail track and gate. BOOM: Anodized aluminum 6061-T6 alloy with standard gooseneck, slide, topping lift fitting and mainsheet blocks. STANDING RIGGING: Seven/eighths foretriangle rig (fractional). Stainless steel 1 x 19 construction with swaged tru-loc end fittings. Turnbuckles on all shrouds and stays. Toggles on headstay and shrouds. RUNNING RIGGING: Main and jib halyards of 7 x 19 stainless steel wire with Dacron tails (spliced). Dacron jib and main sheets. Jib sheet lead blocks and cleats. Main sheet blocks and cleats. INTERIOR: Provision for two full-length bunks in cuddy cabin. SAFETY EQUIPMENT: All standing rigging and spars are grounded for lightning protection. Non-skid deck and cabin top. More than 1700 ENSIGNS are sailing nationwide in a strong, active one-design association numbering 47 fleets in 20 states (1980). Rigid class rules insure continuity of design and manufacture thereby enhancing resale value. Her remarkable ability to race well while providing all the comfort and stability required of a good day-sailer or weekender has endeared here to hundreds of experts and novices everywhere. Since the class was introduced in 1962, the ENSIGN has proven herself to be the ideal all-around family boat. 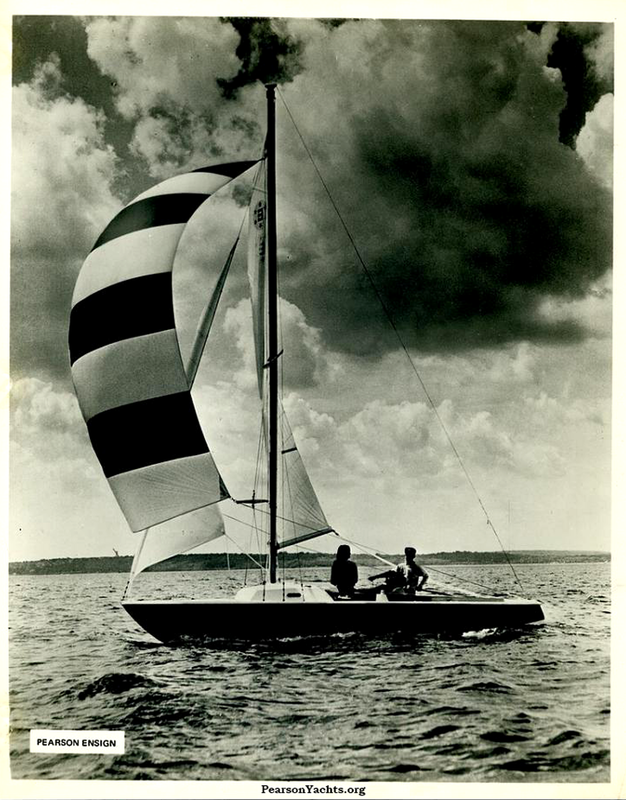 Her ability, seaworthiness, and forgiving attitude have encouraged numerous people of all ages to "take to the water" for those precious leisure hours while providing those with a competitive spirit with a bonafide compromise between the thrill of racing and the lure of cruising. 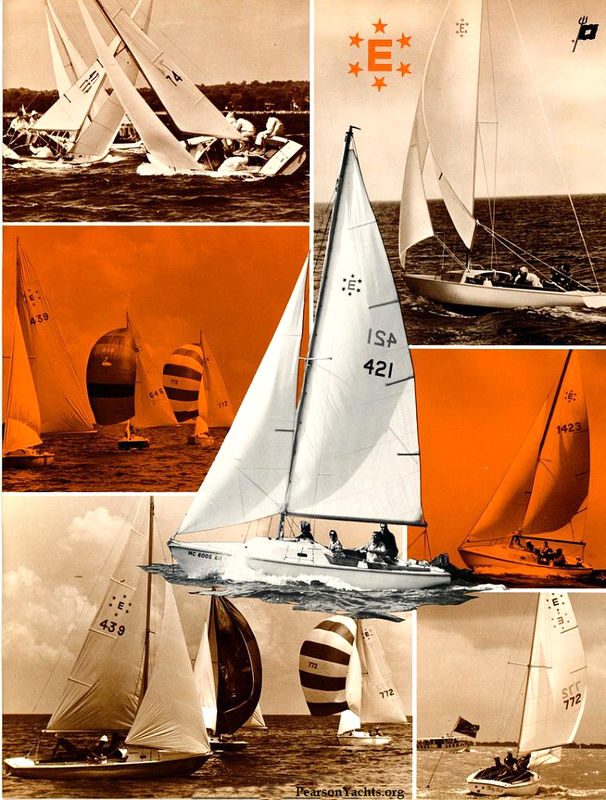 Ask many of the experts now racing larger boats and they tell you it all started with the ENSIGN. 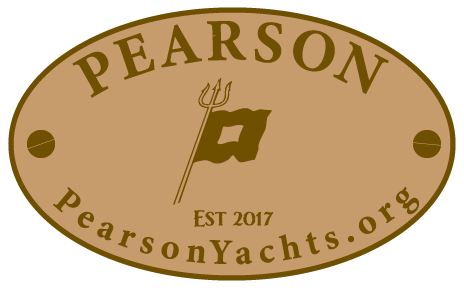 Ask present ENSIGN owners, they tell you how difficult it is to find another boat that dollar for dollar represents the real value they presently enjoy. 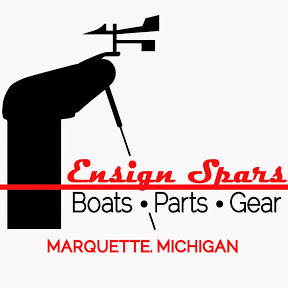 If the ENSIGN will be your first boat, you can start with confidence - confidence in your boat and your investment. If it;s your next boat you can rest assured that she will bring out the best of your experience. 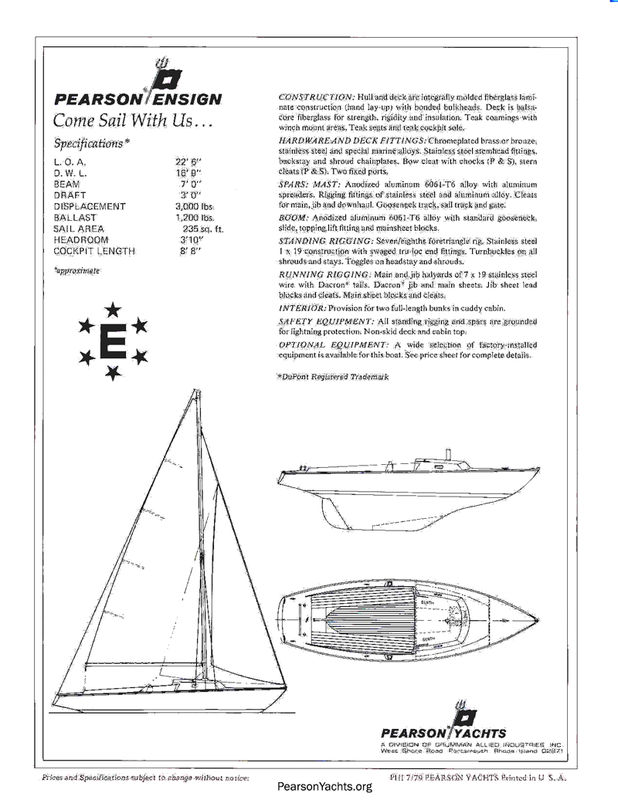 Consider what has made the Ensign so popular… a large eight foot cockpit with full length teak seats so perfect for the safety and convenience of a large family; a twin-berth cuddy cabin with optional head for those overnights or weekends; national recognition as a one-design racing class; longevity of manufacturer; strict class rules for uniformity; Pearson Quality!